Established 35 years ago, the dedicated St. Louis personal injury attorneys at Cervantes & Associates have earned national recognition for maintaining high ethical standards and successfully representing thousands of injured clients in a wide variety of personal injury matters throughout Missouri, including St. Louis and St. Charles Counties, and Illinois. Specifically, the firm assists clients and their families with wrongful death, serious injuries, defective products, workers' compensation, motor vehicle accidents, medical malpractice, Social Security and disability, insurance claims, and construction accident matters. The highly regarded St. Louis injury firm's attorneys have a solid reputation for being aggressive litigators and preeminent trial attorneys who have the ability to handle the most complex and challenging cases. Decades of experience enable the firm's attorneys to successfully represent clients in even the most complex matters. 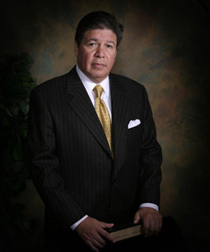 The attorneys at Cervantes & Associates combine their skillful experience with a friendly and professional demeanor. This ensures that the firm's clients are comfortable with their legal representation and know they can contact the office anytime they have a question or concern. Cervantes & Associates is committed to providing superior and professional representation to all of the firm's clients. As a testament to this dedication, the firm has been given a Martindale Hubbell AV rating. This is the highest rating attainable, and it indicates preeminent legal ability combined with the highest ethical standards in the legal profession. For our clients' convenience, the firm offers a free initial consultation. Attorneys are available for Saturday meetings and members of the firm's staff speak Spanish. If you or a loved one has been injured in any way or needs assistance with an insurance claim or Social Security matter, contact Cervantes & Associates today. Contact our St. Louis, Missouri office by calling (314) 621-6558 for a free initial consultation. We are waiting for your call and will answer your questions about your case.